Offered for the first time in over 40 years, this grand Federation home captures elevated, leafy district views from its sunny west facing verandah. Enter this grand home into an impressive exceptionally long entrance hall, soaring 3-metre high ceilings, exquisite period archways, ornate ceilings and polished timber floors showcase the elegant and classic style of the Federation era. A gourmet French Provincial kitchen is luxuriously appointed with Carrara Mable bench tops and European appliances and flows into a generous and sunny open plan living and dining room. Substantial accommodation comprises of 6 large bedrooms, an expansive master bedroom with sunroom, 3 bathrooms plus a versatile self-contained apartment with 7th bedroom, kitchen, bathroom, laundry, courtyard garden and independent access. Offering enormous built-in storage throughout, a retractable ceiling ladder also provides easy access to additional attic space. Additional attributes to this enormous family home include; marble bathroom with freestanding bath, study, laundry room, plantation shutters, double hung sash windows, dado rails, and paneled doors with fan-light windows. 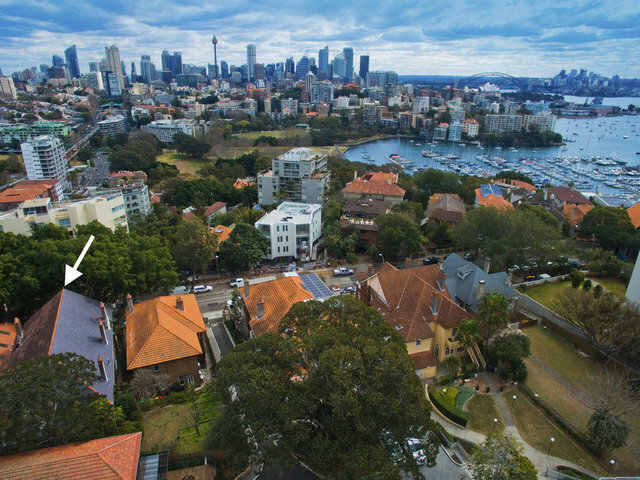 Enviably situated just a short level stroll to the Edgecliff Shopping Centre, moments to Ascham School, cosmopolitan Double Bay, Rushcutters Bay Park, CYC, Sydney’s world famous Cruising Yacht Club, local ferry, train and bus stations, situated just 2 km from the CBD. Darling Point continues to show strong capital growth in Real Estate values and is often noted as a suburb where residents love the lifestyle, prestige and elegance of the location.